The BroadbandTVCon broadband TV and multi-screen summit took place at Hollywood & Highland on November 5-6. Executives from a range of companies including AOL, AT&T, CBS, Dijit Media, Omelet, Ooyala, Unicorn Media, Watchwith and Yahoo! gathered to offer their impressions regarding the direction of second screen apps, the impact of mobile devices, the growing influence of millennials and the subsequent changes to content and advertising. Ooyala’s Sudhir Kaushik noted that 67 percent of U.S. consumers get their content on devices other than TVs, and that advertising is considered content. Content that loses value when it is not watched live (for example: sports, news) is driving the audience to want to watch content across devices, he added. Chuck Parker, Unicorn Media’s chief revenue officer, noted that smartphones are never shared, and tablets are rarely shared. As TV Anywhere and second screen apps proliferate, it will become increasingly easier to track individual viewing behavior. Amazon gets 150 percent more revenue from customers after they sign up for Amazon Prime, explained Brent Imai, executive director of original content development at AT&T U-Verse. The winners in the content space will be a few players who use content to sell something else, he argued. Ran Harnevo, who leads the AOL On Network, said that 70 percent of their content views come from collaborator sites and sources other than the AOL On site. You can’t do everything yourself, he said. The content must find the audience, not the other way around. Regarding content licensing rules and restrictions, Omelet co-founder Steven Amato said that his staff of millennials works together to find the content that they personally want to watch, regardless of the source. Harnevo also noted that Web content must be authentic and true to the medium. There is a new storytelling language emerging. No laugh tracks, he said. Dijit Media CEO Jeremy Toeman said that millennials build relationships as a blend of offline and online interactions. That is why personal talking-head programs like “Young Hollywood” or “The Young Turks” can be wildly successful. Adam Besserman, head of west coast development at Yahoo!, added that user behavior varies by platform. You must program differently for Yahoo!, Hulu and YouTube. Celebrities must have their own digital footprints. Lifecaster and YouTube comedian iJustine (Justine Ezarik), with 16.3 million Twitter followers, is a new kind of celebrity. Nicole Richie has a committed audience of 4.5 million Twitter followers and 10 million Instagram followers, yet most mainstream media is not aware that she is more than Paris Hilton’s ex-BFF. CBS Interactive’s Jeff Shultz made three points about second screens: 1) second screen supports engagement, 2) second screen has become the first screen for millennials, and 3) second screen interface makes content discovery easier. TV Guide Mobile is one of the most widely used apps in the world. Their data shows that most users make use of it more than 20 times a month. 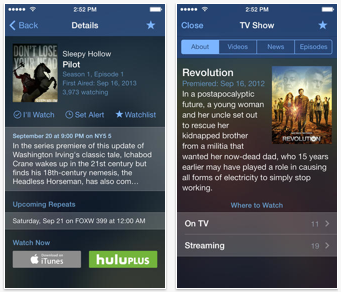 Because second screen apps like TV Guide Mobile provide additional information, they blur the line between augmenting content and discovery. It is difficult for second screen development to keep up with the hype, added Zane Vella, CEO and co-founder of San Francisco-based Watchwith. Influential voices can amplify the impact of second screen successes and failures. The emergence of second screen needs to be looked at as the modern equivalent of the transition from radio to TV. 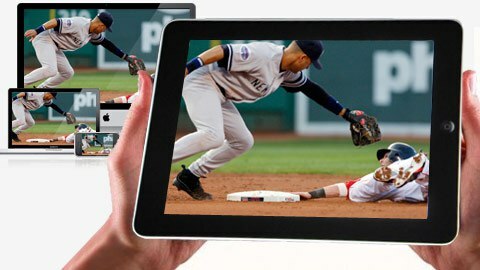 Second screen application development, like software development, is an iterative process. The app is released, consumer feedback — including A/B testing data — is gathered, and the app is modified. Vella said that ‘iteration’ is a hard concept for traditional media people to accept. They are used to ending their development cycle with a finished product. For more information on the summit, visit the BroadbandTVCon site.